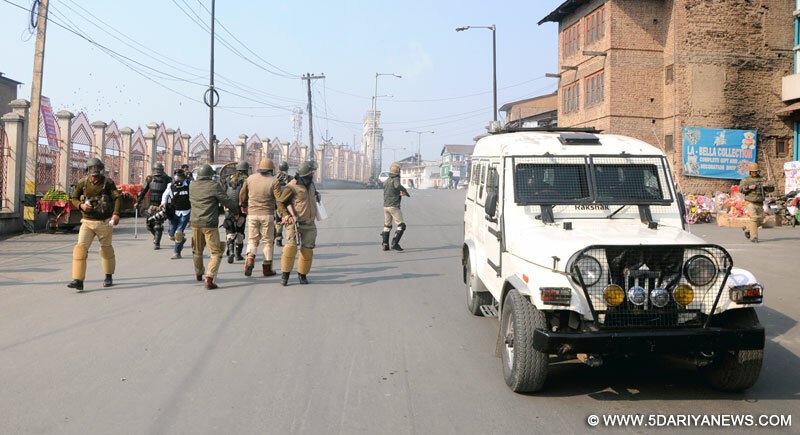 Clashes between protesting youth and government forces erupted in few places Tral on Fridayamid a shutdown in many of South Kashmir areas against the killing of Let commander Abu Qasim. Reports said that normal activities remained paralyzed in Kulgam, Shopian and Pulwama districts of South Kashmir on Friday as people observed a complete shutdown to “mourn” the death of LeT commander. Shops and other business establishments remained closed while government offices witnessed thin attendance with roads wearing a deserted look in these areas, reports added.Interestingly, the shutdown was spontaneous as no separatist organization has called for a shutdown today.Meanwhile, police has arrested many youth in Kulgam and other places who as per DIG South Kashmir Nitish Kumar has “taken law in their hand by attacking a CRPF camp in Kulgam, and raised provocative slogans” during the funeral procession.Abu Qasim’s funeral prayers were participated by thousands of people at Bugam village in Kulgam district on Thursday. Qasim, according to police, was killed in a brief shootout at Khanday pora village in the district.